I really enjoyed this book and categorize it as a must-have on the bookshelf for parents expecting multiples. Laid out into the natural flow categories of conception, pregnancy, labor and delivery, Neonatal Intensive Care Unit and the first years, submissions by parents of twins, triplets and more honestly explore their journeys with insight, hints, tips, fears, expectations, realities, humour and ultimately, the joy of having two, three or more babies at a time. Each author has managed to include the reader on their unique journey in a most delightful and personal way. In addition, the editors offer concrete ideas throughout for handling trying times, e.g. coping with infertility issues, and include a “must-have” list of accessories for having multiples and thoughtfully provide places to journal your own thoughts and feelings about your particular journey. 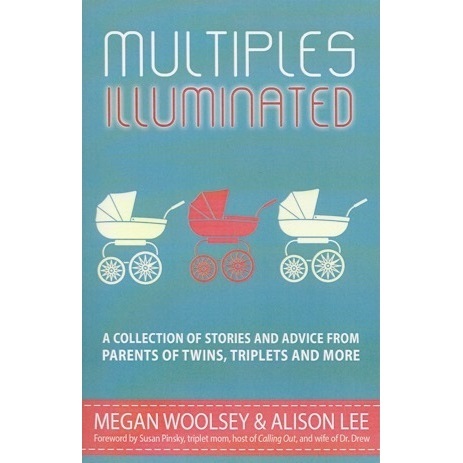 This book would be the perfect gift for anyone you know who is expecting multiples! Anyone with an interest in multiples needs to pour her/himself a coffee, find a quiet moment to sit back and savor the experiences of families who have already begun a unique, exciting, challenging and rewarding parent experience. Previous Entry:The Crying Baby: What is Baby Trying to Tell Us?